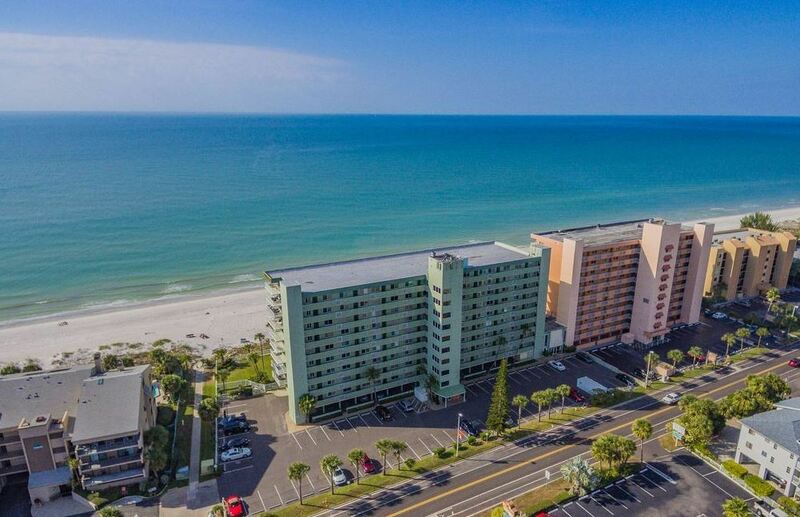 This direct Gulf-front three-bedroom, two-bath unit has recently been completely renovated and is located on the 6th floor of the popular, family-friendly Sand Castle I Condominiums. 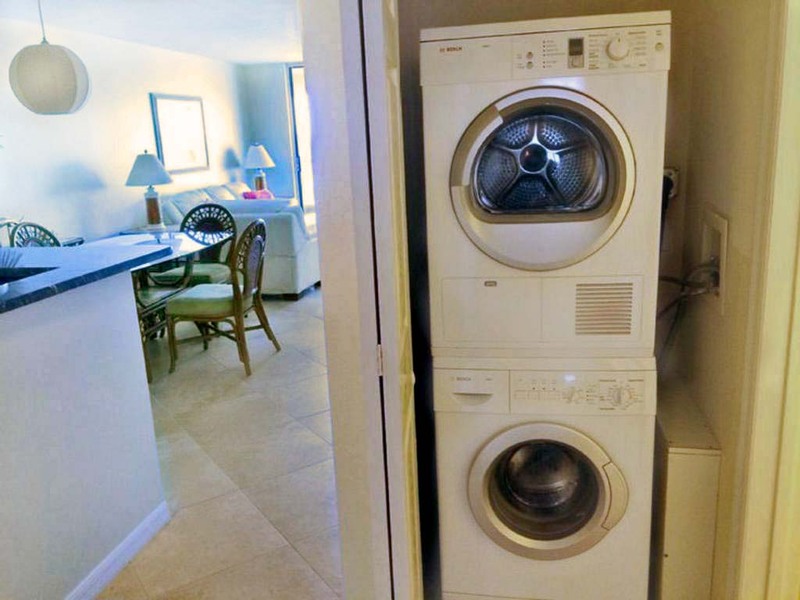 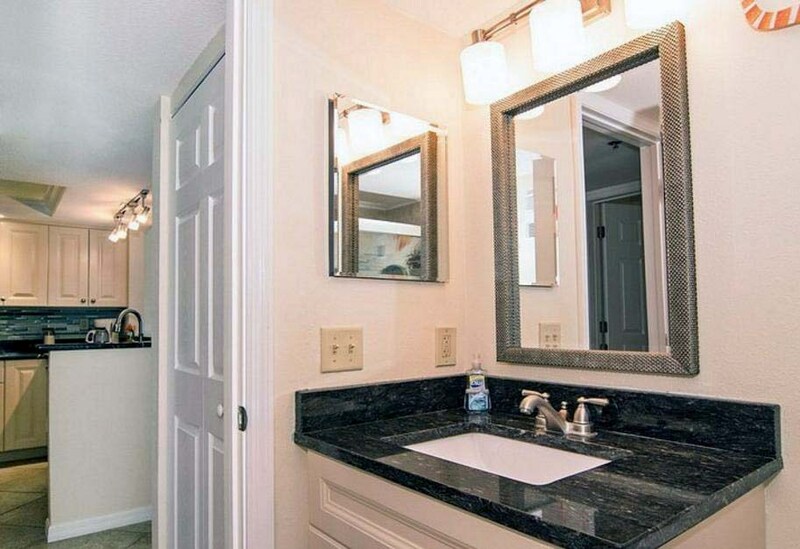 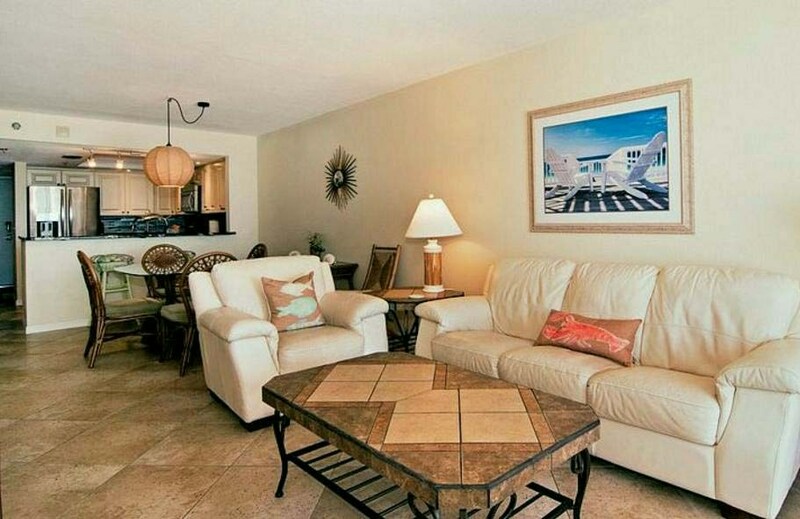 A host of amenities make these units a favorite of vacationers in the know! 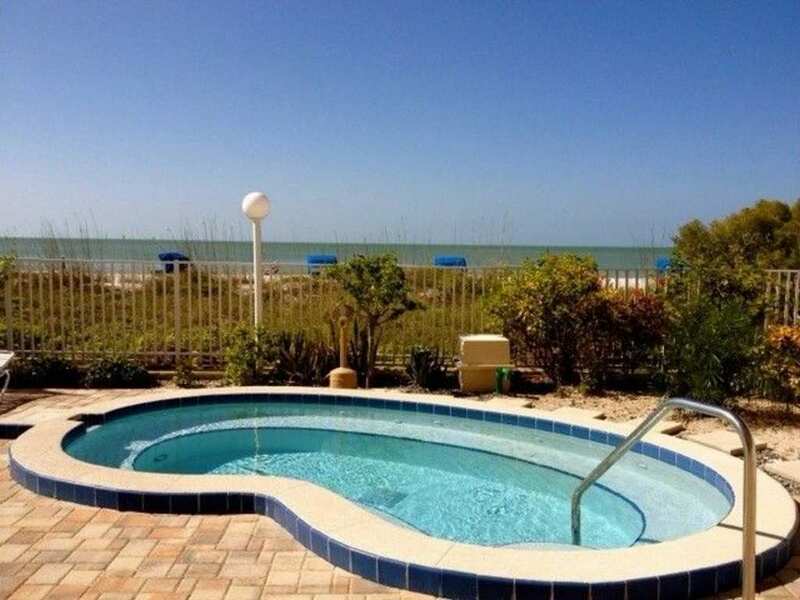 Enjoy a heated Gulfside pool and outdoor jacuzzi, private beach access, assigned covered parking, spectacular sunsets, and easy access to the many beachside attractions between St. Pete Beach to the south and Clearwater Beach to the north. 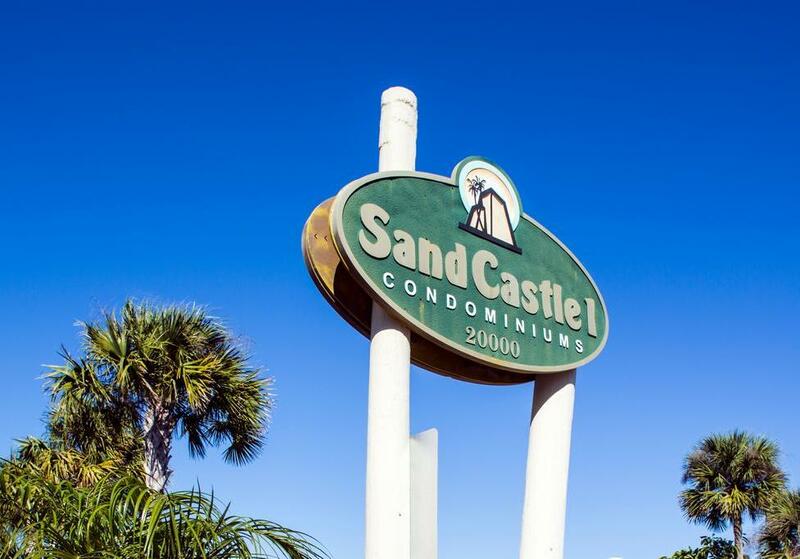 A stay at The Sand Castle means you won't miss a thing while enjoying gorgeous accommodations for your family! 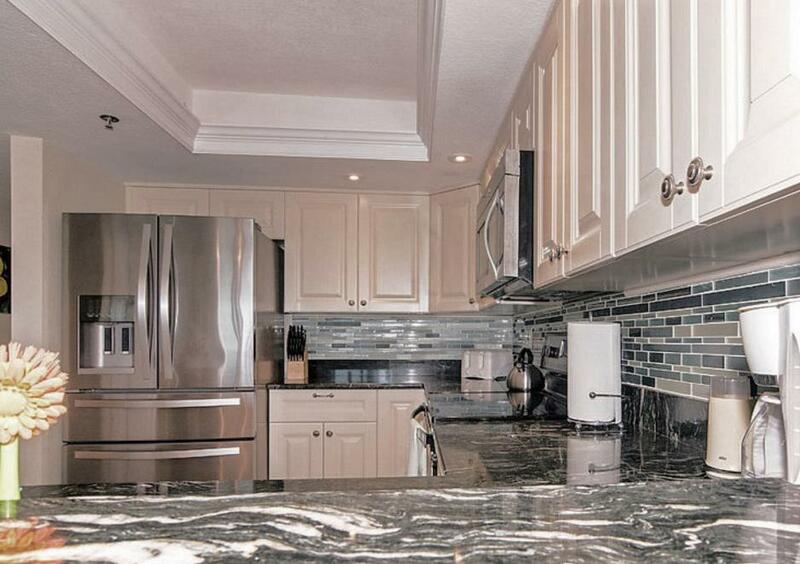 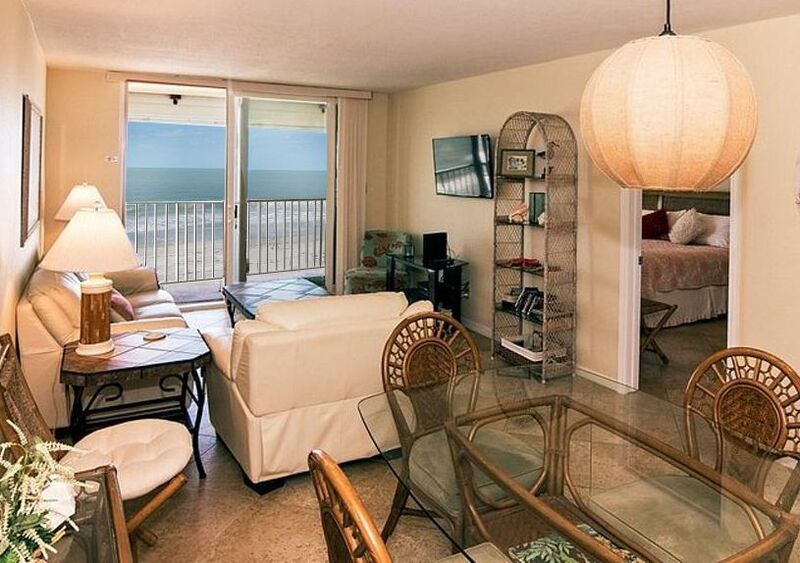 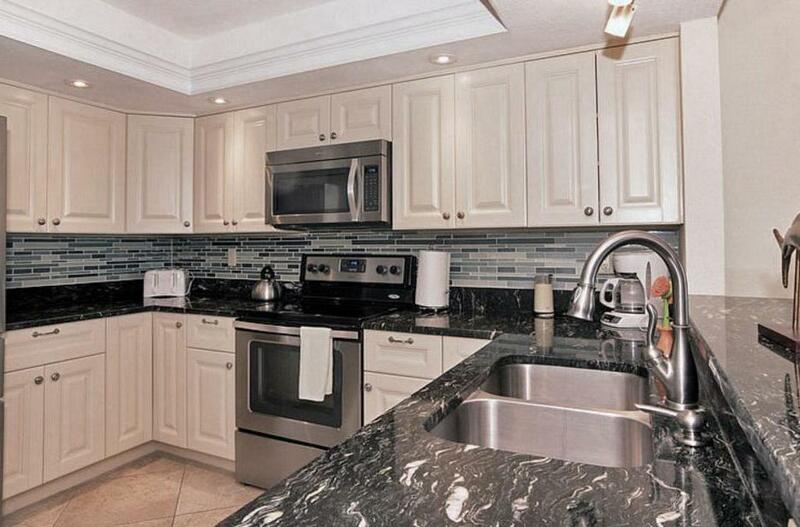 The focal point of this lovely unit is the large balcony overlooking the beach. 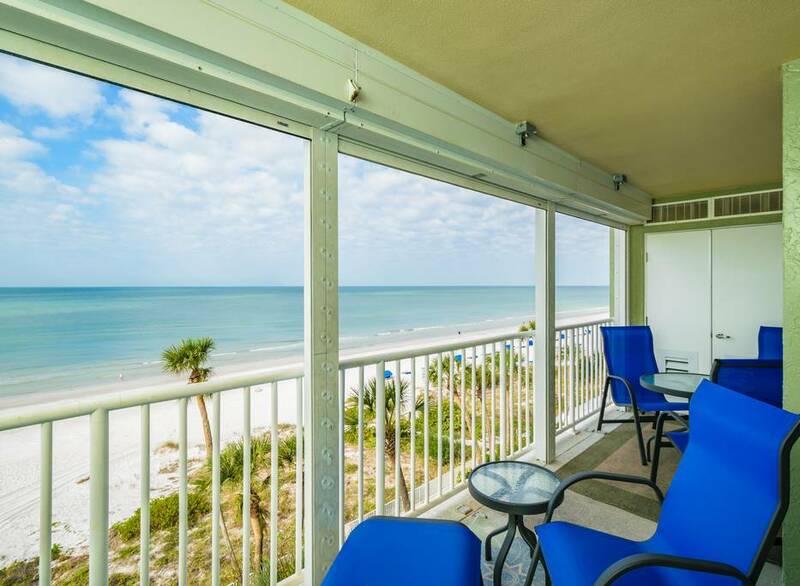 It will quickly become your favorite place to enjoy a private viewing of our gorgeous Gulf of Mexico sunsets, or to share breakfast before heading out to the sun and sand below. 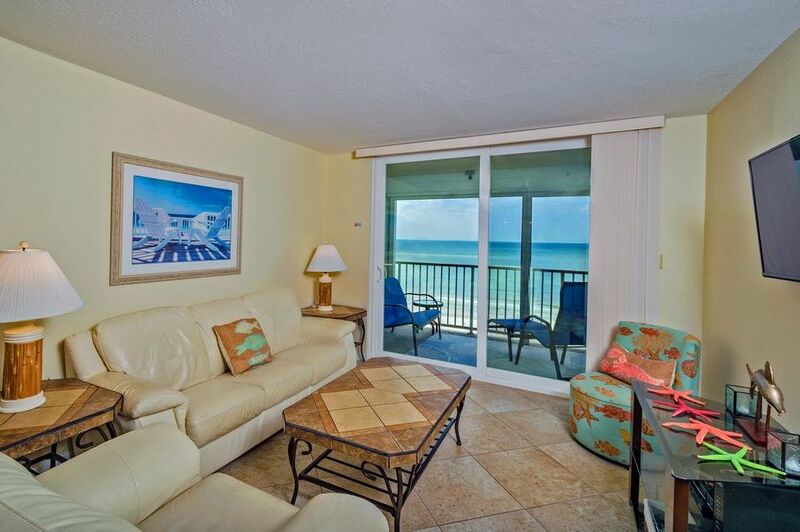 Both the living room and master bedroom share access to the balcony, which means the views are spectacular from much of the unit. 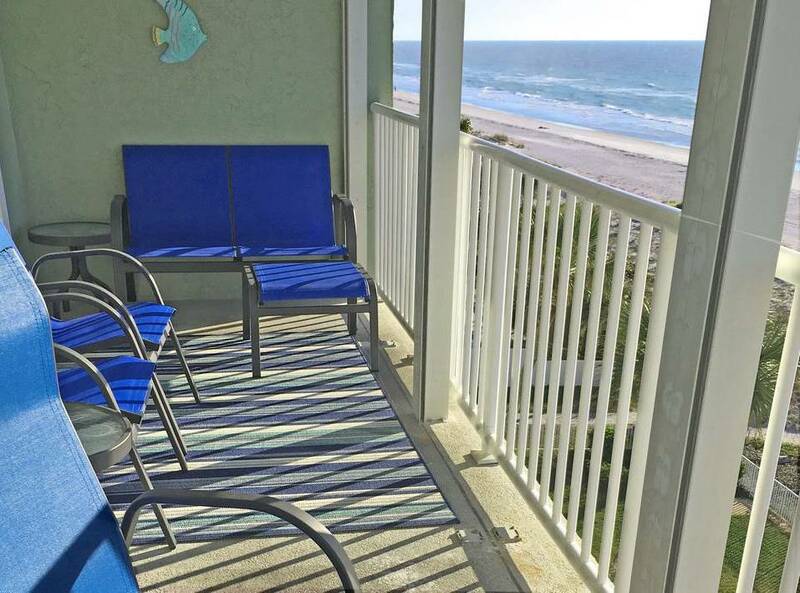 However, guests staying in one of the other two bedrooms may argue that theirs is the best view! 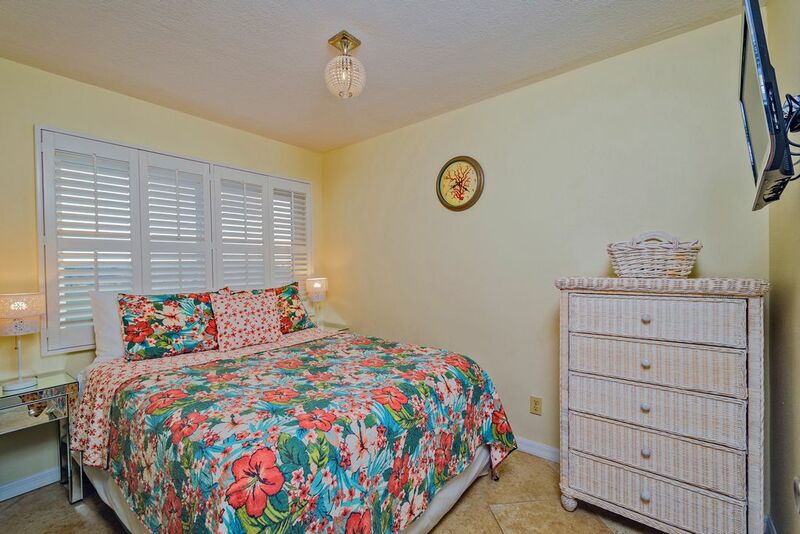 Both of these bedrooms feature gorgeous views over the intracoastal waterway. 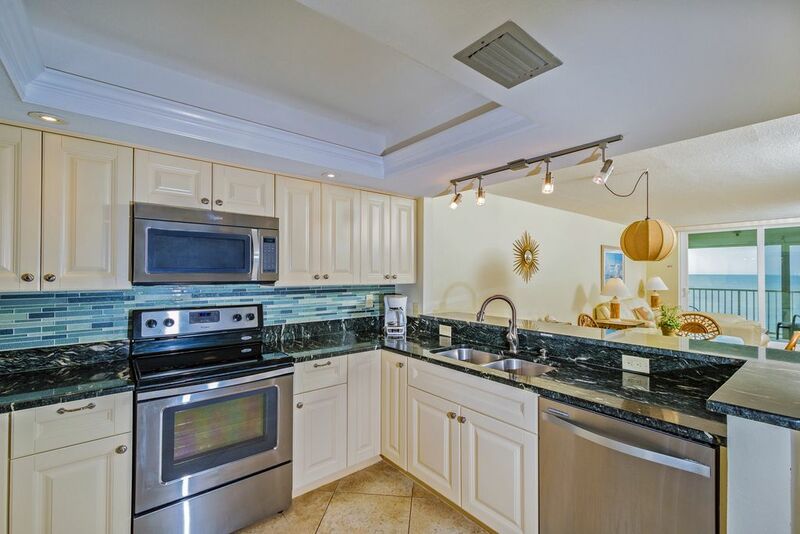 The perpetual activity of boats traveling the waterway and sparkling lights at night offer endless entertainment. 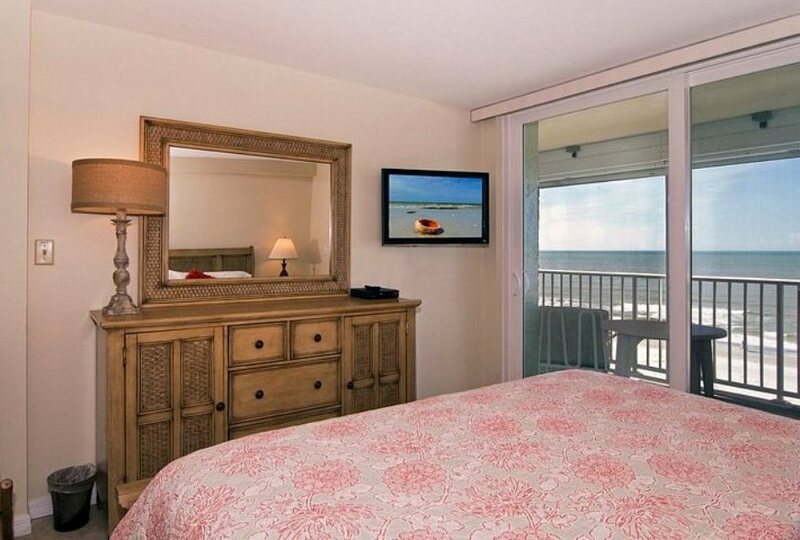 In addition to the balcony's lovely Gulf views, the master bedroom features a king bed and flat-panel TV. 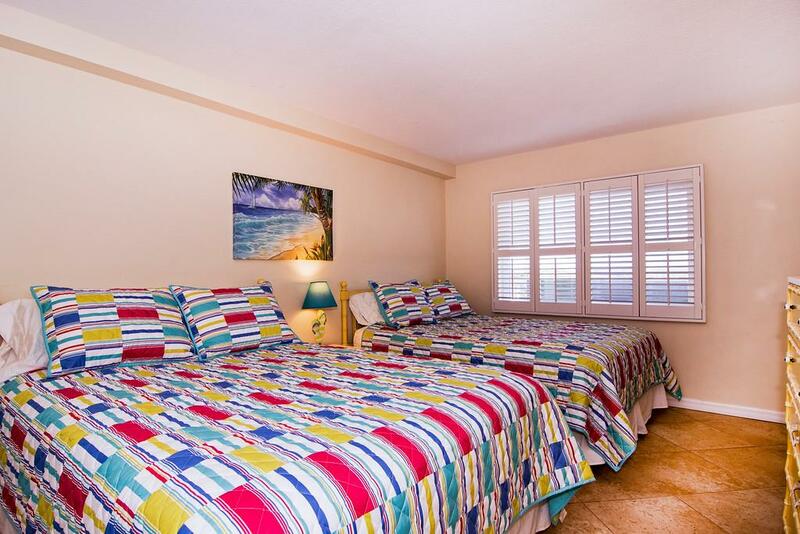 One of the intracoastal bedrooms features two queen beds and a flat-panel TV, while the third bedroom has a queen bed, a mounted flat screen TV, and a pocket door to the kitchen. 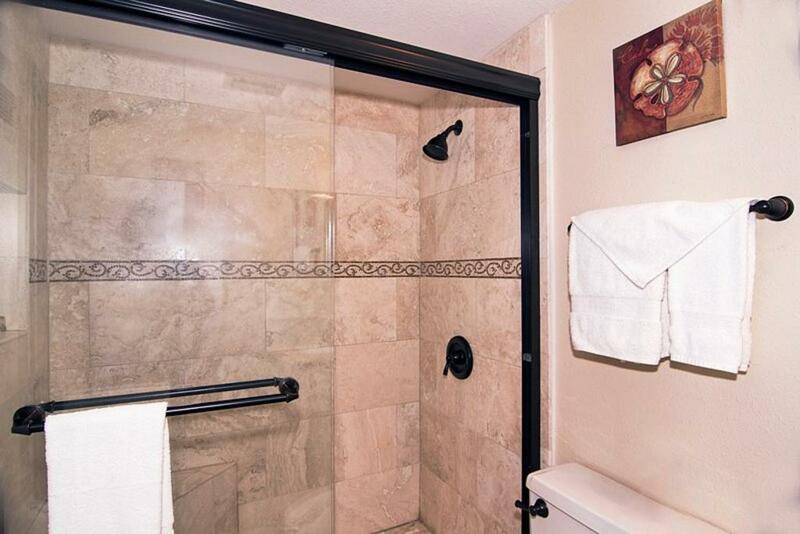 New tile floors, a beautifully updated kitchen with granite countertops and stainless appliances, remodeled bathrooms, and comfortable furnishings round out the experience. 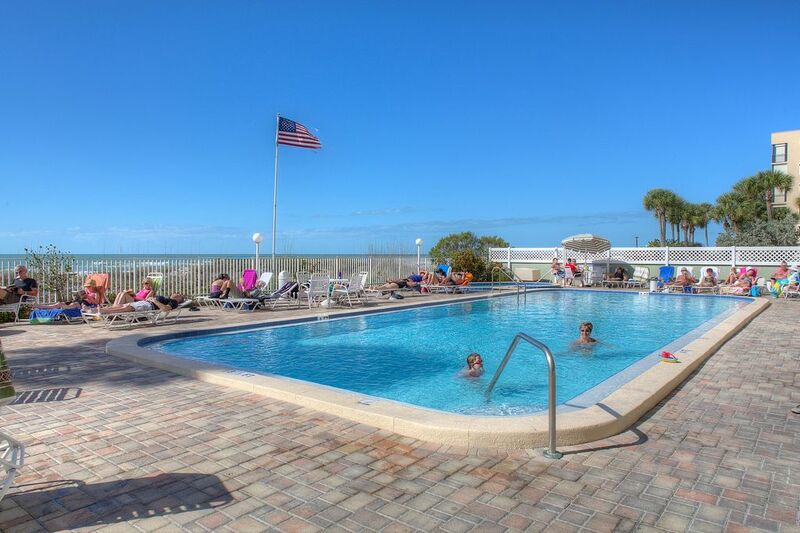 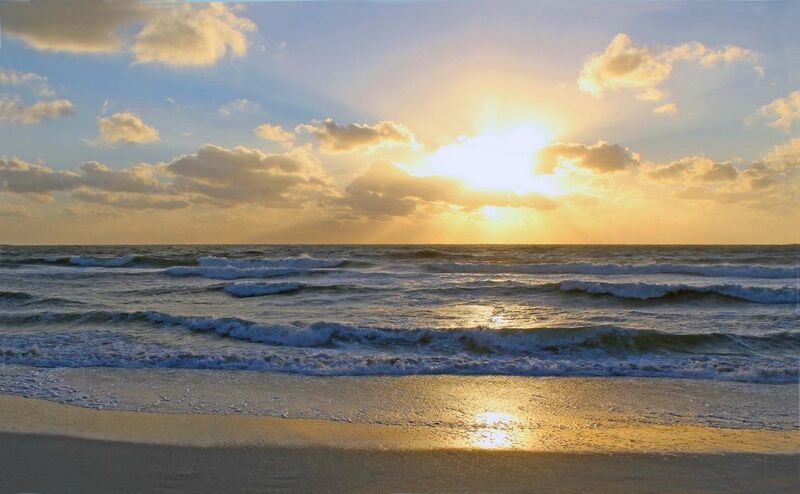 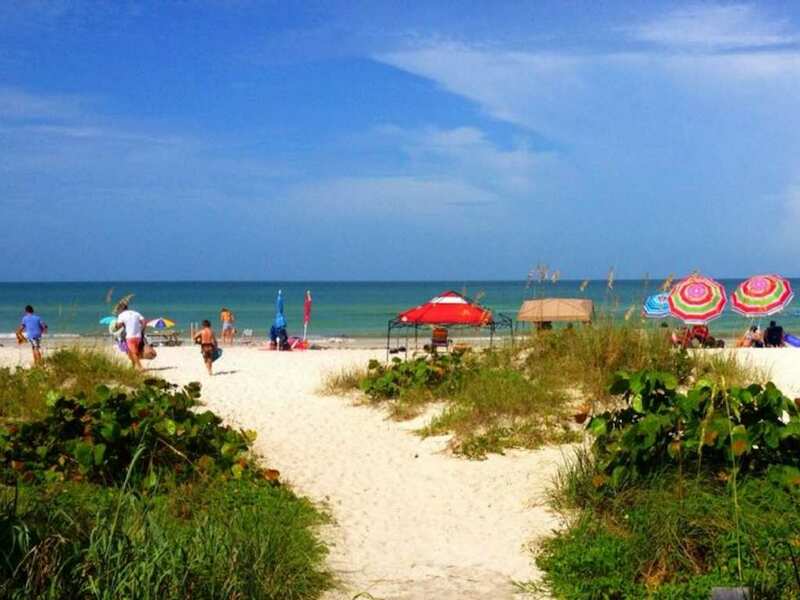 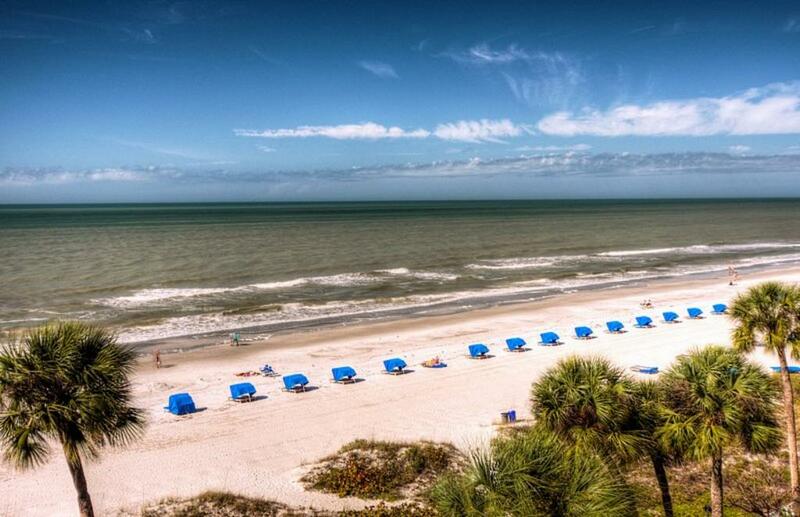 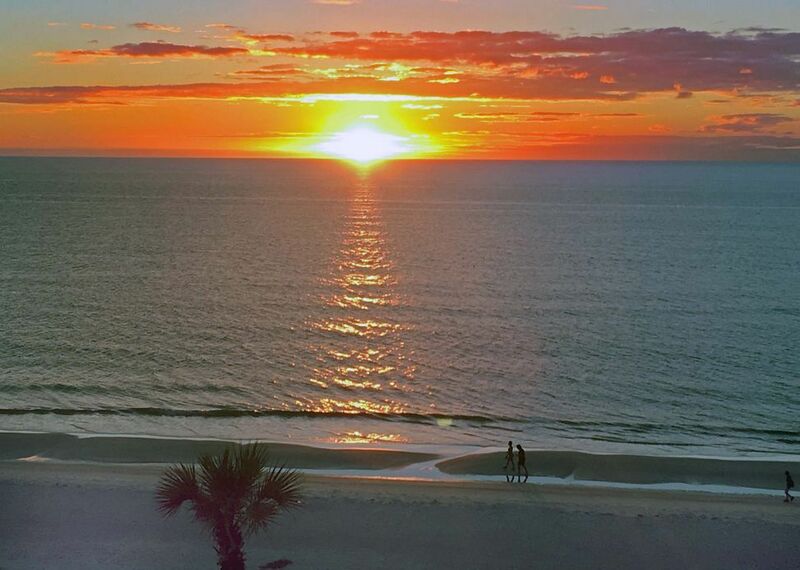 You won't find a better place to spend your Indian Shores beachfront vacation! 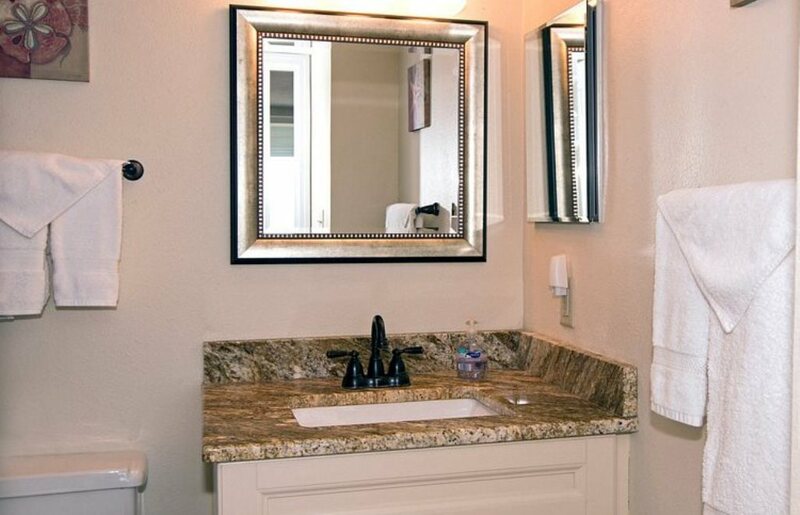 You can save money on your reservation when you pay with an e-check! 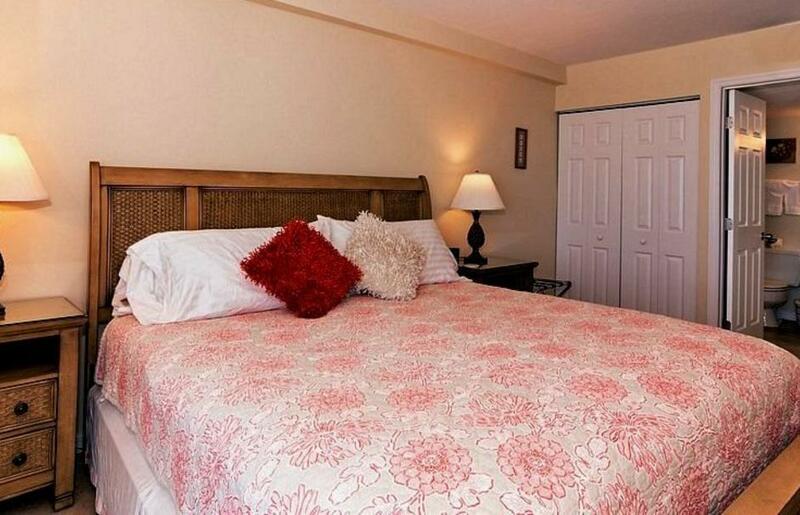 We'll be happy to waive the Reservation Fee and related taxes for guests who choose to use this payment method.